When most people think about injuries or harm caused by defective products things like asbestos insulation and power saws with no finger guard usually come to mind. Very few people would ever think that some as innocuous as small foam earplugs could be the cause of permanent, life-altering injury. But this is exactly what happened to thousands of former military service members, law enforcement officers and others who worked around loud sounds. Minnesota industrial giant 3M, one of the world's largest manufacturing companies, recently admitted that it had been selling defective earplugs to the military and others for over 10 years. 3M's Combat Arms Earplugs were one of the most popular and widely utilized protective earplugs on the market. 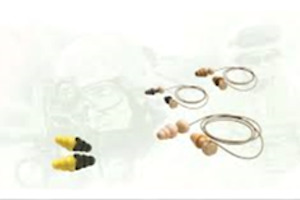 In addition to sales to the general public, 3M had a long-term, exclusive contract to supply the earplugs to all branches of the U.S. Armed Forces. 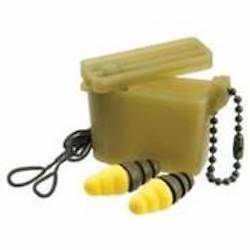 From 2002-2015 the Combat Arms Earplugs were standard issue safety equipment to military service men and women. Over that time period literally thousands, maybe hundreds of thousands of military personnel used the Combat Arms Earplugs on a daily basis. They used them on the assumption that the foam earplugs were protecting their ears from the damaging effects of high-level noise exposure. A recent federal whistleblower lawsuit finally forced 3M to admit that its earplugs often did not protect users from noise exposure due to a design defect which the company knew about all along. Once inserted the Combat Arms Earplugs were supposed to seal off the outer ear canal and block out high level noises. Unfortunately the earplugs were not shaped correctly for this and often became loose or "unsealed" shortly after being inserted. This design flaw rendered them mostly ineffective at protecting the ear from loud noise damage. Most users never realized the problem and exposed themselves to extreme noise levels thinking that their Combat Arms Earplugs were protecting them. 3M was apparently well aware of the issue from the very beginning but never disclosed it to the military or the public. Many veterans or current service members who relied on the defective earplugs for protection are now suffering from tinnitus - a chronic ringing in the ears which impairs hearing. Their tinnitus is a direct result of the undisclosed design defect in the Combat Arms Earplugs. In some cases, the tinnitus is so severe that the individual's hearing is almost fully impaired. Whenever a manufacturer publicly admits that a product was defective and may have caused harm, a large wave of individual product liability lawsuits always follows. There is typically a period of several years following a manufacturer's admission during which potential plaintiffs who were harmed by the product gradually come forward and starting filing suit across the country. This is exactly where we are right now with the Combat Arms Earplugs lawsuits. 3M's forced acknowledgment that its earplugs were defective just recently occurred in July 2018. The admission came in the form of 3M's agreement to pay $9.1 million to the U.S. Department of Justice to settle claims that 3M violated the False Claims Act by knowingly selling its defective earplugs to the U.S. Military. As of right now, we are still in the very early phases of the Combat Arms Earplugs litigation. To date, only a few hundred initial earplug lawsuits have been filed against 3M by military veterans with tinnitus or hearing loss. These first few hundred are just the initial tip of what is going to be a very large iceberg of litigation for 3M. The field of potential plaintiffs in the Combat Arms Earplugs litigation is potentially very large. Keep in mind that the Combat Arms Earplugs were standard issue equipment for all branches of the U.S. Military for over a decade. During that time period, 100,000 to 300,000 (and possibly more) soldiers may have used the defective earplugs on a daily basis to protect them from extreme noise exposure. Based on these estimates, the number of prospective plaintiffs who may have valid earplug lawsuits against 3M could be in the 25,000-30,000 range. This means that the several hundred earplug lawsuits filed against 3M so far only represent about 1% of potential claims. This means that the remaining 99% of potential plaintiffs in the Combat Arms Earplugs litigation have yet to come forward and file their claims. Potential plaintiffs in the earplug litigation include service members who were regularly exposed to loud noise as part of their duties. This would include gunners, artillery, pilots, aircraft support personnel, infantry, mechanics or engineers, and any other jobs involving high continuous high-level sound exposure. In some cases, a single exposure to extreme noise can be enough to cause permanent tinnitus. A single explosion or .50 caliber gunfire in close proximity to the ear can be more than enough to cause irreparable damage to the ear resulting in permanent hearing loss or tinnitus. Miller & Zois is currently screening potential plaintiffs for the Combat Arms Earplugs lawsuits against 3M. There will be a hearing on March 28, 2019, to determine whether these earplug claims should be made into a national MDL which is basically a class action for discovery purposes. This would be the first step towards a potential settlement of these claims. If you are a military veteran suffering from tinnitus or some form of impaired hearing we want to hear from you. The field of potential plaintiffs is not limited to former military service members. Anyone who used 3M's Combat Arms Earplugs and now has hearing problems may also have a valid claim. We can evaluate your circumstances and tell you whether or not you have been entitled to compensation from 3M. Call our intake team at 800-553-8082 or get a free online consultation right now to find out if you have an earplug hearing loss claim.